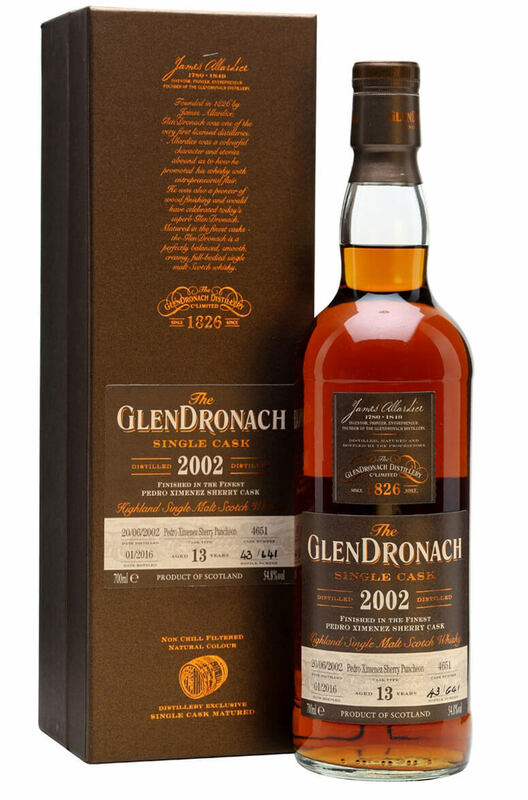 Cask 930 is a Pedro Ximenex Puncheon and is one of the younger bottlings in Glendronachs 13th batch of single cask series. Just 722 bottles were produced. Aromas (without water) Chocolate raisins and warm aged oak hold waves of ripe figs and candied peel. Flavour Fig syrup drizzled over sherry-poached pears and a dusting of cocoa, all warmed by stem ginger and a gentle vanilla note.